Brr it’s been cold this week! We haven’t had any snow in Dallas like so many of y’all, but we have enjoyed the snow through picture books! 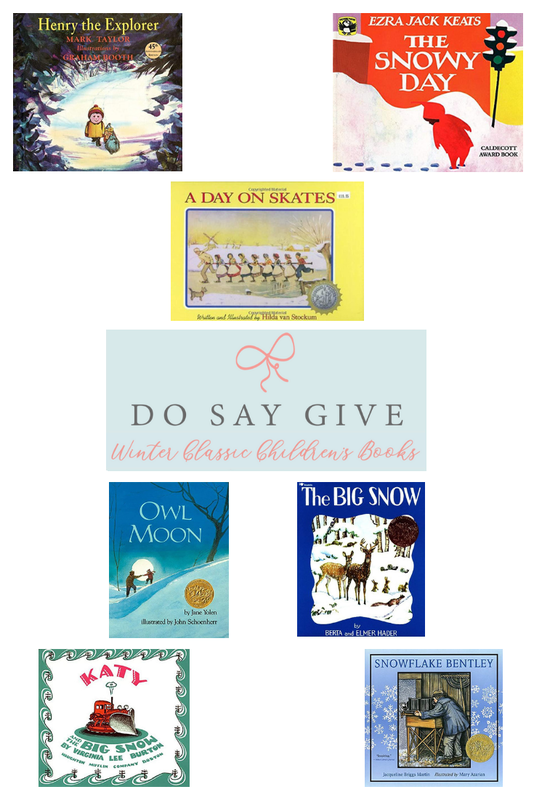 Today I am sharing seven sweet classic children’s picture books about winter. Head to the library with this post or maybe give a few of these books to your children or grandchildren for Valentine’s Day! I love having seasonal children’s books displayed in my home. As you may know I have a love for classic children’s literature. I like new books, too! 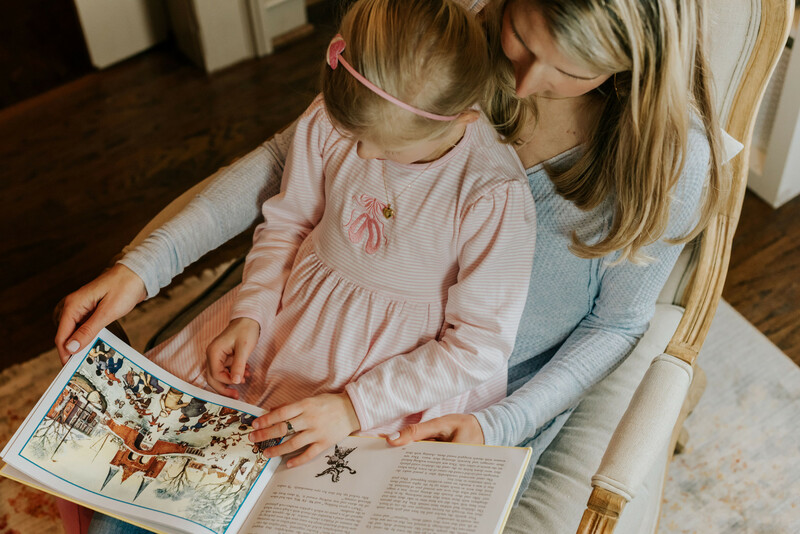 But I feel like some of the older classics get overlooked so I enjoy sharing some of my favorites with DoSayGive readers who may be craving richer illustrations and storylines for their children and grandchildren. If you have a classmate birthday coming up a few of these would make a lasting gift! Remember, you can click on the Motherhood header any time to browse past posts about Classic Children’s books. We also have FREE printable library lists of our favorite picture, board, and read aloud books in our Classic Children’s Book Club Facebook Group (in the files section). To join this group just subscribe to our mailing list here. (Or if you already subscribe see last weekend newsletter’s for the link and password. Or just email me!). Please share your favorite childhood picture books about winter below. Looking for Valentine’s themed books? See our Valentine’s Gift Guide for Children. My daughter’s dress is from Eyelet & Ivy. Pre-orders for spring are happening now for this comfy and cute line of play clothes!